The regulations that apply to IRA withdrawals depend on your age at the time. 3. When Do You Have to Draw Money Out of Your IRA? Different withdrawal regulations apply to individual retirement accounts, depending on your age when you withdraw the money and the type of IRA you have. Also, traditional IRAs require you to start taking minimum withdrawals at age 70 1/2. 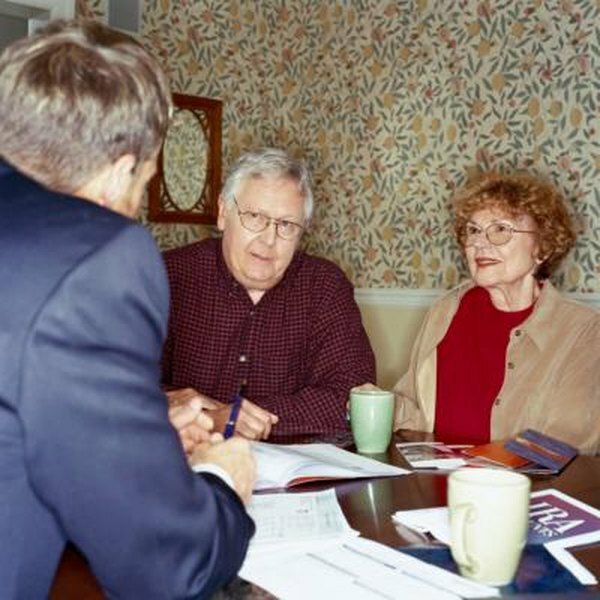 Roth IRAs and inherited Roth IRAs have slightly different rules than traditional IRAs. If you withdraw money from a traditional IRA before you turn 59 1/2, the distribution will be subject to a 10 percent penalty, as well as to income taxes. Taxes were deferred until you withdrew the money. If you use the money to buy a home for the first time, for certain educational expenses, to pay for unreimbursed medical expenses, or for health insurance while unemployed, you might be able to avoid the 10 percent penalty. File IRS Form 5329 with your income tax forms if you qualify for one of these exceptions. After you turn 59 1/2, you take distributions without penalty, but you will still have to pay federal income taxes on them. Some states also tax IRA withdrawals. You will need to start taking minimum required distributions from your traditional IRA after you turn 70 1/2. This regulation also applies to SIMPLE IRAs and to simplified employee pensions. You can take the first minimum withdrawal the year you turn 70 1/2 or by April 1 of the next year. For each year after that, you need to take a distribution by Dec. 31 every year. The amount you must take out depends on how much was in your IRA by the end of the year before you're taking the distribution, divided by the joint life expectancy of you and your beneficiary. This calculation applies even if you do not name a beneficiary. If you don’t take your minimum required distribution, you will be hit with a penalty that is 50 percent of the amount that should have been taken out. If you inherit an IRA, minimum required distributions must begin by Dec. 31 the year after the original IRA owner died. If you have a Roth IRA, you can take a distribution after the mandatory five-year maturity requirement tax- and penalty-free if you are at least 59 1/2, or if you use the money because of death or disability or for a first-time home purchase. If you don’t meet these secondary conditions, the withdrawal will be subject to a 10 percent penalty and a tax on earnings. Roth IRAs are not subject to minimum required distributions during the lifetime of the account owner. If you inherited a Roth IRA you will have to take minimum required distributions. If the Roth IRA has been open five years or more, you can take them free of federal tax. If the original owner died before turning 70 1/2, you can choose to take advantage of the five-year rule. This allows you to withdraw from the inherited Roth IRA at any time, but all assets must be withdrawn by Dec. 31 of the fifth anniversary year after the year in which the original owner died. If both of those conditions are met, penalties for not taking minimum required distributions might be avoided. The money you withdraw will count as income subject to income taxes.